Appellation or Vine Chianti Colli Senesi D.O.C.G. This D.O.C.G. Chianti comes from a very careful selection of Sangiovese, Canaiolo and Colorino grapes. The vinification is carried out in a very traditional manner at a controlled temperature of 20°C with pumping musts and wine crushing dregs for over 10-12 days. The racking and decanting process then follows for the clearing of the wine. It has a very intense ruby purple red color to it. 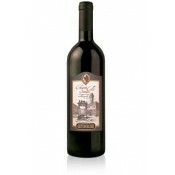 It also has a fresh almond and mature blackberry fragrance with a soft warm dry and pulpy taste. Casa alle Vacche is a rural company situated in Lucignano (Pancole) in the administrative area of San Gimignano, an area particularly given to the cultivation of grapevines. The twenty hectares of vines are lovingly cared for by the owners, Fernando and Lorenzo Ciappi, and high quality fruit are gathered from an area that is fortunately blessed with good soil and an excellent southerly exposure. The grapes are converted into wine with such skill as to merit the distinction D.O.C.G., as does this Vernaccia di San Gimignano. Excellent with red meat and savory soups. It goes well with cheese not containing herbs. Serve at room temperature in large transparent crystal glasses. Conserve in a cool and dark cellar with a constant temperature making sure that it is in a horizontal position. 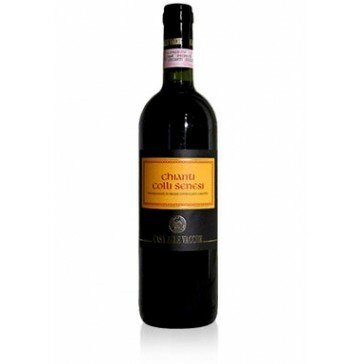 Really fresh Chianti even drunk young, really enjoyed this wine and will buy again.